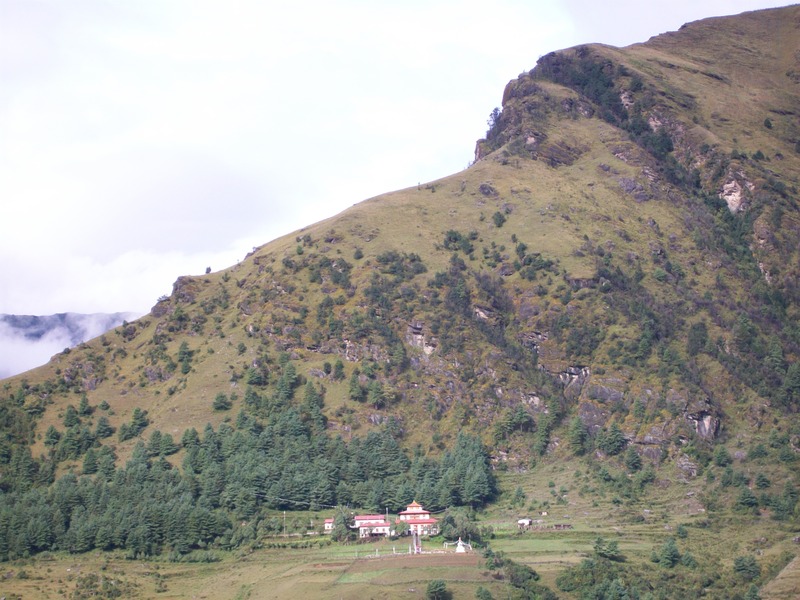 Leaving Junbesi on the fifth day of a Jiri-Gokyo trek I took a photo of the monastery visited the previous day. 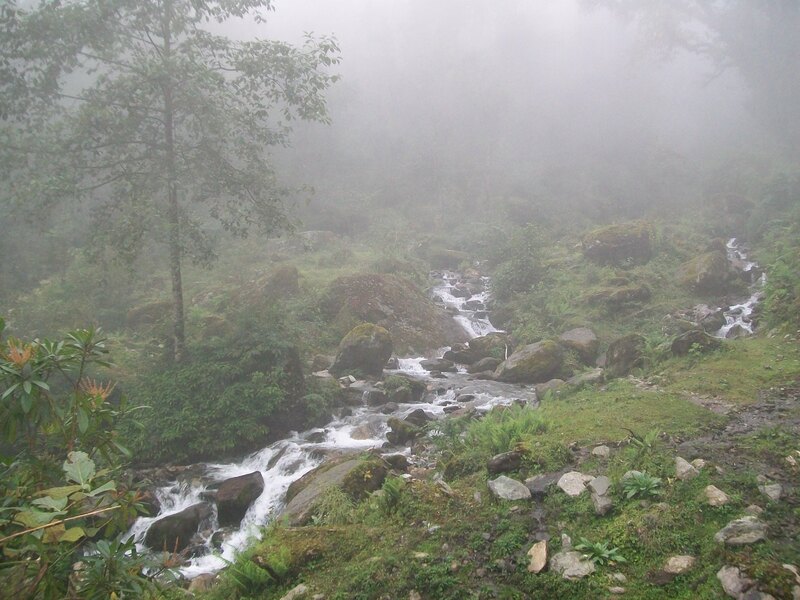 It was then a downhill before crossing the Taktor Khola valley to Ringmu. The previous afternoon’s trek was visible from the cafe I had lunch at with a few Europeans who’d also left Junbesi that morning. 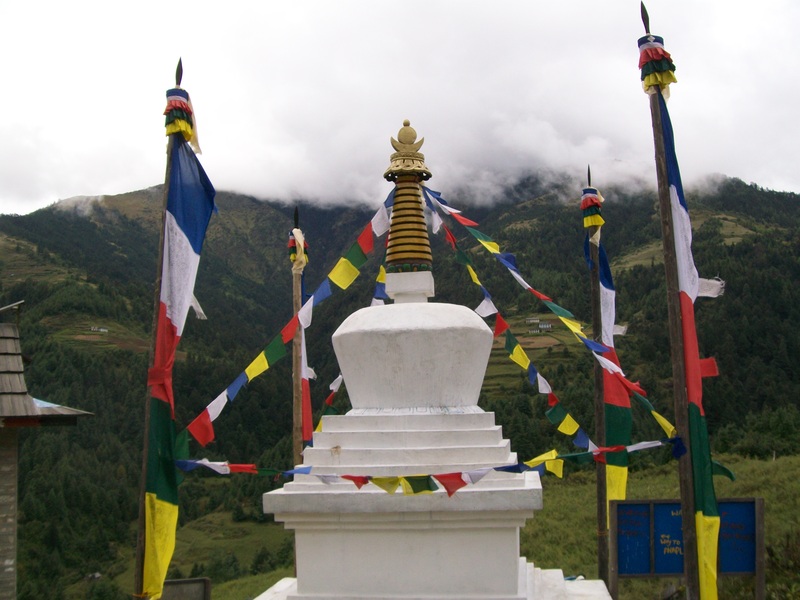 A stupa and prayer flags brightened the greenygrey valley view. Then the path led up to Taksindu. 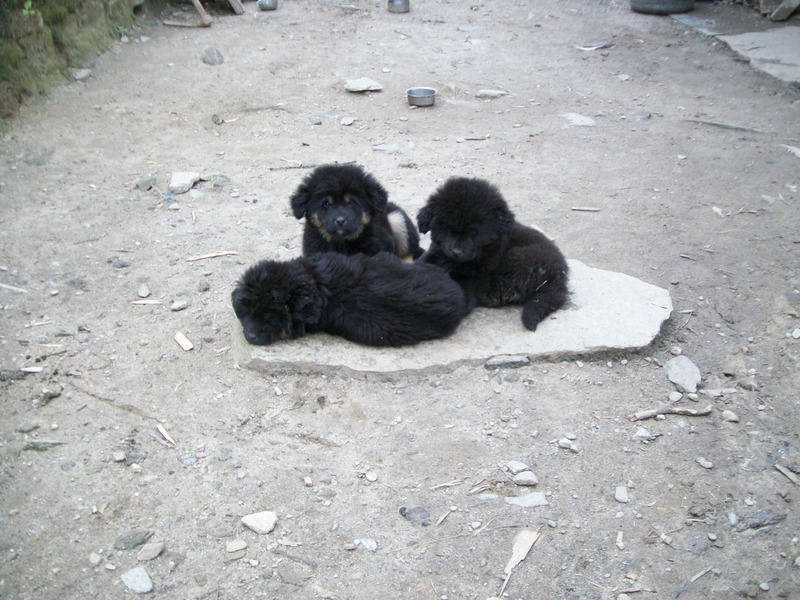 A waterfall and puppies led down to Nunthala, and the end of the day’s trek.